There are two things you can count on in life, Russians making vodka and bartenders making drinks. When the two of them collide, it's an awesome thing to behold. How else would James Bond have looked so suave by putting the Vesper on the map if he hadn't had vodka and a great bartender to mix it for him? That gin wasn't going to hold up the drink on its own. And what excuse would we have to order cases of those beautiful copper mugs if we didn't have the Moscow Mule? None. And the restorative breakfast concoction that is the queen of the cocktails, the Bloody Mary? Without her vodka the drink would be just another commoner in a glass. There's shared cultural history behind this Russian spirit. A cultural history that intrinsically ties Mother Russia to the United States where, since Stolichnaya Vodka's introduction in 1972 courtesy of Pepsi-Cola importing it, vodka has become the US's most popular spirit. So popular in fact that DISCUS (Distilled Spirits Council of the United States) noted that 158 vodkas were introduced to America in 2013. Stoli holds the proud place of being the first premium imported Russian vodka and, in honor of their recent departure from William Grant & Sons we sat down to see what to expect from Stoli now that they are running their own show; from grain to glass. Sara Gorvitz, Brand Director, Stolichnaya Vodka, joined us to answer some questions about the newly formed Stoli Group USA which heralds in the dawn of a new age for Stolichnaya. SS: Why leave William Grant & Sons? SG: The brand worked well as an agency brand with William Grant & Sons, but our parent company SPI decided they wanted to make an investment in the US and felt it was the right move to hang up our own shingle. SS: What’s the focus and mission of this newly formed Stoli Group USA company? SG: Our focus right now at Stoli Group USA is to reintroduce the brand. Under our new corporate entity - we're all a new team gelling together - our hope and our goal is to remind consumers and trade about why Stoli is different from other vodkas and that it was the original premium vodka. It was the 1st vodka coming into the US market that was premium, and that was back in the 1970s. To my knowledge there were no other vodkas in the market that were operating in our premium price point. SS: So, how is Stoli different from other vodkas? SG: The liquid has always been the point of differentiation to the brand. The way that I describe our differences really relate to our quality, which has never changed. We are one of the only brands that controls the entire production and manufacturing. We own wheat fields, and we own our production and bottling facility in Latvia. SS: Why is vertical ownership so important? SG: We control from grain to glass because we take the quality of our vodka very seriously. It says a lot about a million and a half case brand to be able to say this - it sets us apart from the players in this business. It is really important for us in terms of quality control standards that we are in charge of every single element of the product. We employ farmers who grow the wheat that ends up in the vodka and we've owned the bottling facility in Latvia for more than 80 years. The artesian well water is drawn directly from below the Latvian building; we built the bottling facility right over the water source. We own about 6,000 hectares of wheat fields. We don't own enough land to generate enough wheat to make all the vodka, but a lot of it comes from our own farms; we buy the rest of the grain we need from farmers who produce for us, but all comes from the Tambov region of Russia. SS: We recently read that the key messaging around Stoli is: AUTHENTIC, PIONEERING, PREMIUM and THE ORIGINAL meaning the ‘first.’ Some of our members may not have been of drinking age when you made these historic strides so, for their education, can you please illuminate some of these Stoli “firsts” such as being the first vodka to introduce flavors to the market (1962), and the first Russian premium vodka import? SG: We've given it a great deal of thought. The first thing I'll say is that in the old world style of vodka - vodkas from Eastern Europe and the Baltics - the issue of flavored vodka isn't a novelty there the way it feels like over here in the US. According to our brand archives - Stoli was the first vodka to produce a commercially available flavored vodka. In 1964 Stoli started manufacturing an herbal honey style which is a typical flavored vodka from that part of Eastern Europe. The second was a pepper flavored vodka. You'll see from the bottles they have awesome art work on the labels; and all of that was long before the brand saw its first bottle sold in US. In 1986 Stoli sold first lemon flavored in US and that's part of our brand history. Our approach with flavors in the beginning was really to stay true to the brand but also appeal to tasting preferences to the US market, which is a market we love and are making big investments in. Perspective has changed and we recently introduced a lot of flavors which, to be honest, not all were successes. We are in the process of evaluating which flavors work and make sense to our consumers. At this point, in addition to paying attention to our base brand, consumers and trade are going to see more attention to the core flavors; blueberry; raspberry; vanilla and orange. Our first power promotion period is around Bloody Marys and one of the key messages is how great the Stoli Bloody Mary is with some of our core flavors. The two I think work well are Stoli Premium, and our Hot flavored vodka. Another drink we're messaging on is the Moscow mule. 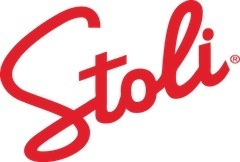 SS: Tell me about Stoli’s new Start With Stoli (SWS) campaign and the value to bartenders who participate? SG: What I don't want is for bartenders to walk away thinking that this is another bartender contest, it is a full spectrum program designed to educate and empower them. With this program we want to support anyone who wants to become better at their craft. If you read Start With Stoli and read it with a critical eye - you'll see it isn't about Stoli, but about promoting the art of the cocktail. Our primary goal isn't to educate about the brand it is to educate them about what they do. We brought it to life through print advertising which launched in March and our digital partnerships have started this week. We see this as a multi-year campaign. We'll keep adding content. Our goal is to bring new, fresh content to life and bring in-depth workshops to life every quarter. SS: How are you doing that? SG: The way we've constructed it is to work with an acclaimed mixology author. We work with the authors to do excerpts of their books, we set up a Q&A afterwards to reinforce the materials. Through that the bartenders can access the Bartender’s Dream Library. We launched with Tony Abou-Ganim. SS: How and why did you get Tony Abou-Gamin involved in SWS, and what was his input into each module of the educational quiz and messaging on the site? SG: Tony wrote a book called Vodka Distilled. He's well known in the industry and I've known him for almost a decade now. He wrote such a great and easily accessible overview of vodka. We thought there was no one better and no book better suited to launch SWS than Tony and his book. It was the obvious choice. SS: And what is this “Bartender’s Dream Library”? SG: The Library is a support vehicle for this program, which is all about cocktail scholarship. Bartenders Dream Library is a curated list of books that we feel are the most important cocktail and mixology books ever written. We'll be publishing content on the micro site each quarter. And we'll have events for bartenders that Greg Boehm helped us curate. We worked with him on a seminar at a recent USBG conference; the topic was the 50 Most Important Cocktail Works of Our Time and we'll be turning the footage from that seminar into something that's viewable on our platform, StartWithStoli.com. SS: So, how does one get their hands on these 50 best cocktail tomes? SG: They can learn all about winning the Bartender’s Dream Library on the website. We'll be awarding a couple of Dream Libraries - three per quarter. You can have either a hard copy version of all 50 books or an electronic version. While there's something so beautiful about receiving this entire collection we're also considerate that some bartenders live in small apartments in urban environments so we don't want to foist that on them. SS: How did you come up with the list of the 50 most important cocktail books? SG: Developing the list was tough but fun; we were iterating on the list for many months. There were several people who contributed - from Stoli US and also outside the company we consulted with Jeffrey Lindenmuth and Greg Boehm. We even made a couple of changes up until two weeks before we launched the program. We took it very seriously. It was difficult to do, but we feel that though our collective knowledge base this is the most comprehensive list ever published. SS: What can existing Stoli drinkers expect from the brand now? And what can they, and potential new fans look forward to? SG: There are a couple of things on the horizon for the brand. Vis a vis bartenders everywhere, particularly in key markets, we're producing more POS than ever before that will help them. And they should expect to see more barware too; physical tools - things like rail mats and bar mats and shakers and things like that that all bartenders need to have in their arsenal to make their cocktails. SS: But doesn't everyone already have a Stoli rail mat or branded shaker? Why are you sending us new stuff now? SG: Because we have a new designers and thought leaders on the business it seemed like the right time to refresh our materials. One of the biggest frustrations in the community is to receive materials that don't work - shakers leak, spoons aren't long enough. We've tried to address those things in the design and production of the materials. So everything works really well and was created with some close consultation with notable people in the bartending community who gave us great feedback in the prototype stage so we think they are great tools that are useful and efficacious. SS: What do you want our bartender members to understand about Stoli's heritage and current place in the vodka category? SG: Our message with bartenders is a little different than other trade. The message to bartenders is Start with Stoli. It's all about education and empowerment. We want bartenders to be able to rely on Stoli for information that will advance their career path and enhance their skill sets. The insight here is simple. What we were hearing from bartenders is that it is hard for them to access free information that's going to help them in their careers. The bartenders who we hope to appeal to with Start With Stoli are primarily bartenders who are new in their career. For them, given their feedback, the impetus was to bring a freely accessible program that offers information and content promoting cocktail scholarship and bartending skill development This is targeting anyone who wants to be better at their craft. Whoever they are. Whatever kind of bar they work in. But also wherever they are; it's a global initiative being promoted around the world in Stoli marketing. For our trade partners - I want them to understand that Stoli USA is making an effort to listen and make them real partners for us. We're trying to build brand plans that are receptive and responsive to what bartenders are telling us they need. SS: Are you expecting any classic drinks to regain popularity as SWS rolls out? SG: Our first promotional period is around the Bloody Mary and second, this summer, is around lemonade. So we're not necessarily focused on retro or historically important cocktails. We think messaging about lemonade will be a fun, exuberant expression of the brand and adds something very different to it. With the lemonade we'll be talking to the trade about how great our flavors play. SS: Many vodka brands have personalized copper mugs for Moscow Mules but nobody has turned things on their head and co-opted both of the main ingredients in this drink. Share your thinking with me on the development, flavor profile, and roll out of your new ginger beer. SG: Our approach at Stoli is to try and do things a little differently. When we had our initial brainstorm around how to develop a new and interesting program around the Moscow Mule, our SVP of Innovation and Trade, Michael Oringer, suggested that we create our own Ginger Beer. Prior to joining Stoli Group USA, Mike spent about 20 years working in the soft drinks industry, so he has the capability and know-how to bring a Ginger Beer to market. That's how the idea originated, and how we were able to bring it to market in just a few months. The construction of ginger beer comes from three profiles- the level of spice from the ginger, the level of citrus notes (you need something acidic to make your mouth water), and sweetness. The main part of the development was to find the right balance on the flavor profile. The product was developed to taste great on its own as a standalone beverage but also to be delicious in a Moscow Mule. SS: So when can the ShakeStir community get their hands on it? SG: We will be launching in the next eight weeks or so. We're doing aluminum cans, 8.4-ounce slim cans, packed in four. We’re still developing our distribution plan, but we hope to make it available through many of our current distributors. SS: How do you think Stoli is currently perceived by our members and does that make you happy or is there something you'd like to share to tweak their perception of the brand? SG: I'm hoping that when they look at Stoli they perceive a brand that is trying to help them improve their craft through a program like SWS. I would also hope that the bartending community understands our story about quality messaging and how seriously we take the product quality. SS: Before we go we just had to ask- what's your own "go-to" Stoli cocktail and why? SG: My favorite Stoli cocktail is a Bloody Mary with Hot, which is our jalapeño flavor. I like spicy, savory drinks. For more information about Stoli's Start With Stoli campaign and the Bartender's Dream Library, please visit StartWithStoli.com.